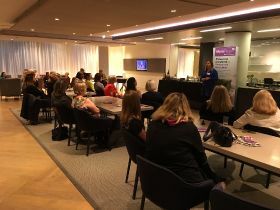 Pret A Manger's food and coffee director Clare Clough was the headline speaker at the Women in Food and Farming’s spring networking event in London, sharing insights into the challenges and highlights of her career with the UK fresh food chain. 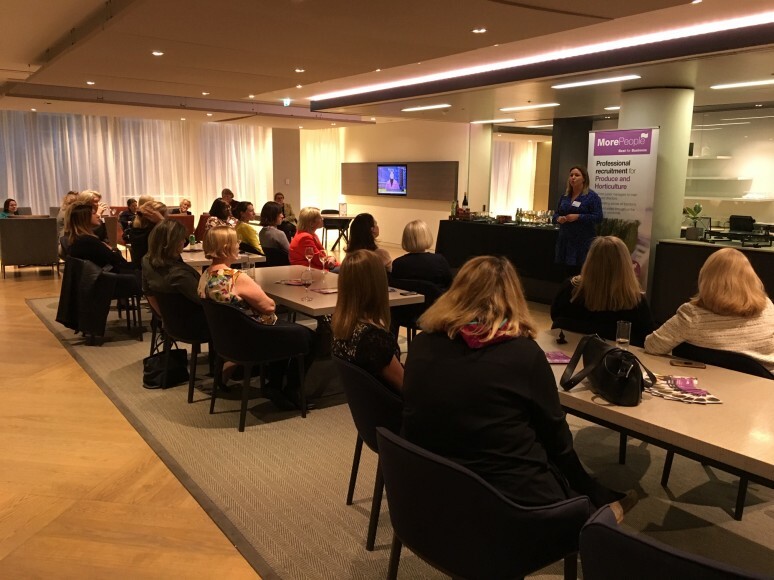 Organised by recruitment agency MorePeople, Wednesday’s event attracted women from across the food and agricultural industries looking to meet, network and share experiences in an informal setting. Clough covered a range of topics during a stimulating talk and Q&A session, including how the chain is keeping up with consumer trends, tackling food and packaging waste and sustainable sourcing and supporting UK farmers. Clough highlighted how Pret is responding to changing eating habits by providing more plant-based and dairy free options on its menu. This week the chain announced the biggest shake up of its menu in more than 30 years, with several new offerings for vegans, vegetarians and flexatarians. Clough also spoke about the impact on the company of the death of 15-year-old Natasha Ednan-Laperouse who suffered an allergic reaction after eating a Pret baguette. “An event like that makes you look at the kind of person you want to be and the kind of company you want to be,” she said, acknowledging that the company had learnt from the tragedy and since started listed all ingredients, including allergens, on its freshly made products. The group also heard from Emily Norton, head of rural research for Savills, about what attracted her to the job and her experience of working in a male dominated industry. Founded by Groceries Code Adjudicator Christine Tacon and supported by recruitment specialist MorePeople, the Women in Food and Farming group started in 2011 with just five women, and has now grown to over 380 active members with a remit to provide regular networking opportunities for making new contacts and sharing experiences; mentoring and advice to support members and learn from each other; and presentations from key players in the industry to raise awareness on current topics, promote the sector and aid career development.